"Sensational images" should have been sent months ago. 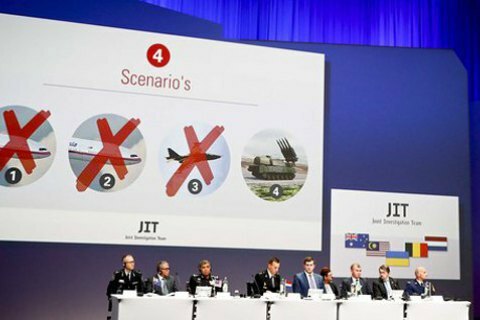 The Joint Investigation Team on the downing of MN17 flight over Donbas says they have not received radar data from Russia that the Kremlin pledged to send months ago, the Dutch publication NOS on Wednesday, 19 October quoted the press-secretary of the group as saying. Russia has promised to transfer images via the Netherlands Embassy in Moscow, but this has never happened. In late September, on the eve of the publication of the report on the causes of the crash, Russia said it gave the investigators the primary radar data, which supposedly were "the most objective proof of what really happened in the skies over Ukraine" during the downing of the liner, and asked, "take them into account in the final conclusions." On 6 October, the official representative of the Netherlands' Attorney General Office Wim De Brown said that Russia has not yet provided the radar images.